While scrubs weren't always a hallmark of the nursing career, today they are synonymous with nursing and working in a healthcare environment. Scrubs typically consist of a short-sleeved shirt and drawstring pants that can be manufactured in almost any color or pattern imaginable. They got their name from their original wearers, surgeons, as they worked in a sanitary or “scrubbed" environment. How did the nursing uniform change from the white pressed dresses and white shoes with hats seen in movies to scrubs? Nurses historically wore uniforms while surgeons wore their own clothing, something that sounds ridiculous now! After the Spanish flu pandemic in the early 1900s, surgeons and medical personnel became more aware of how infections spread and began wearing masks to protect themselves from disease transmission. In the 1940s, aseptic technique became the standard in operating rooms as a way to prevent infections or bacteria from spreading. White was chosen as the color for all clothing, as it emphasizes cleanliness. Any dirt or staining would immediately show and serve as a reminder to launder or change clothing before interacting with another patient. While all pathogens don't stain white clothing, the color was chosen to serve as a practical reminder to keep clean. 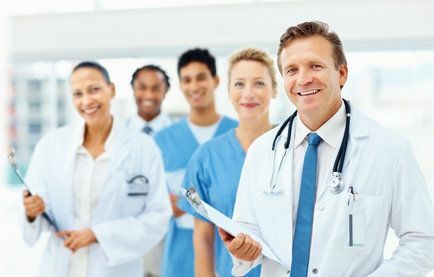 Uniforms moved away from the blinding sterility of white after the combination of white walls, white lights, and all white apparel was found to cause eyestrain in many hospital surgeons and staff. Operating room attire transitioned in the 1960s to a green color palette that reduced eyestrain and made stains less obvious. The green uniforms for surgeons became standard in the 70s and inspired much of the design of today's scrubs. Today's nursing uniforms and surgical uniforms are owned or rented by the hospital to make laundering and sterility a breeze to keep up with. Fabrics are designed to be easily cleaned of any blood or bodily fluids they encounter during a long shift at the hospital. The uniforms implemented in the 70s were only one color, green. While this made scrubs easy to order, it made it impossible to differentiate between departments and jobs within the hospital. Scrubs are purchased in many different colors now at hospitals and in healthcare environments. Next time you are at the hospital, you might see different colors for people working in the emergency room, the labor and delivery ward, or pediatrics. Other places use color or pattern to differentiate between the roles everyone holds, whether they are nurses, physical therapists, or dietary staff. Almost everyone working in a healthcare environment today wears scrubs, whether they work on dogs or humans!